Thorough, well-researched and interesting bio. "If the courts and lawyers of this country will not do their duty, we shall watch as the victims and survivors of this man pursue justice and vindication in their own dignified and painstaking way, and at their own expense, and we shall be put to shame." Forget Pinochet, Milosevic, Hussein, Kim Jong-il, or Gaddafi. America need look no further than its own lauded leaders for a war criminal whose offenses rival those of the most heinous dictators in recent history: Henry Kissinger. Employing evidence based on firsthand testimony, unpublished documents, and new information uncovered by the Freedom of Information Act, and using only what would hold up in international courts of law, The Trial of Henry Kissinger outlines atrocities authorized by the former secretary of state in Indochina, Bangladesh, Chile, Cyprus, East Timor, and in the plight of the Iraqi Kurds, "including conspiracy to commit murder, kidnap, and torture". With the precision and tenacity of a prosecutor, Hitchens offers an unrepentant portrait of a felonious diplomat who "maintained that laws were like cobwebs", and implores governments around the world, including our own, to bring him swiftly to justice. 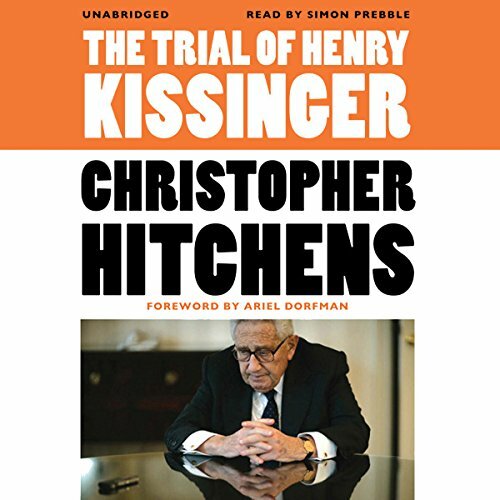 Regardless of your political outlook or persuasion, Christopher Hitchens provides ample narrative to support his indictment of Henry Kissinger's character and his decisions which Hitchens describes as "war crimes". This is a one-sided account that Henry Kissinger haters will LOVE and Kissinger defenders will DESPISE. So if you do not want to hear a scathing attack on Henry Kissinger, then do NOT buy this book! Something the Kissinger haters, the Kissinger defenders, and the open-minded should all consider is the magnitude of defamation Hitchens heaps on Kissinger. Hitchens' attack is scathing throughout. Would an innocent public servant allow Hitchens' charges to go unchallenged without filing a lawsuit and make Hitchens pay for his lies? 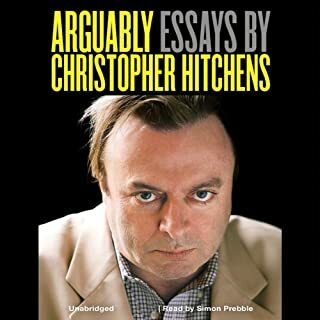 This book was published nearly a decade before Hitchens' death and no lawsuit was ever filed. 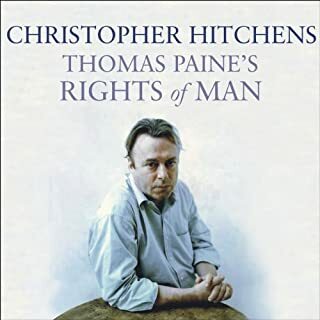 Hitchen's charges may never be proven in a court of law, but I was persuaded by Hitchen's argument and enjoyed the book. Looking for something to get angry about? How about a US State Dept toad who's responsbile for the deaths of a quarter million people? Hitchens makes powerful accusations, but I found his case hurt by an uncompelling showcase of Kissinger's motives. To accept the given motives as the reasons for such heinous acts is a thorny swallow. The narrator was excellent, especially with foreign pronunciations. If you could sum up The Trial of Henry Kissinger in three words, what would they be? Accuracy. 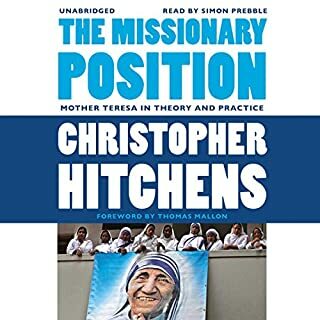 When reading a book like this, I will stop and research what the author has brought up, an event, a name, etc, and when you dive deeper into the event Hitchens may have skimmed over you realize how much more aggravated you are that it was allowed to take place. What did you love best about The Trial of Henry Kissinger? The in-depth analysis of HK and the times in which he operated. This narrator, and others, always seem to screw up the reading of Hitch's material. Although the material is fluid and can be read quickly, it should not be read in this way. Hitch wrote it using his voice, and that includes pauses and a particular meter and timber that all narrators seem to miss. 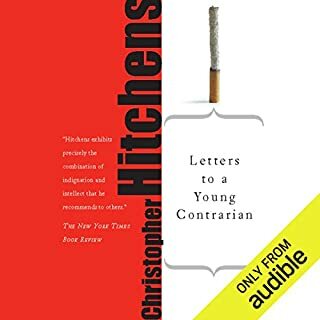 This narrator did no worse or better than any other narrator that I have experienced thus far, but the narrator's inability to find Hitch's voice for this work detracts from the work. 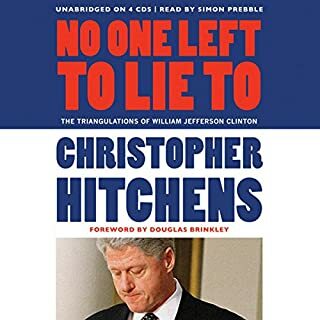 A narrator of CH's material should be forced to listen to 20 hours of Hitch's speeches, or the audio books he personally narrated, in order to get a feel for the way that it should be read. This material is not a meeting brief, it is a work that deserves to voiced using (as close to as possible) the voice of the author. Unlike most authors, there is a substantial amount of available material out there that can be used as research fodder by the narrator. I think that Hitch said it best when he termed Kissinger as an elderly villain. 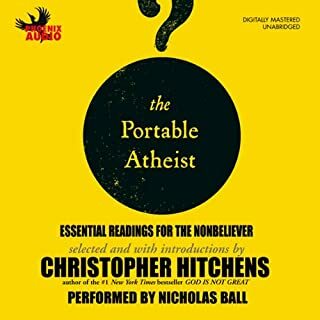 I would simply tag it as "The elderly villain"
Audible should stop making audio-book versions of Hitch's material unless it is willing to invest in its narrator's the time to research how to narrate this material. I would liken the current crop of narrators to John Moschitta in how they deliver the content. Fantastic packed with info and so well written. Hitchens was a masterful writer with an incredible sharp mind. Hank is a greedy megalomaniac and makes for a poster-boy of political garbage. We need to expose maniacs like this. Rumsfeld I feel would have had a book on him by Mr Hitchens if he would have had more time among us. Freedom is not a (God given ) right. Freedom is a capacity. Only those who are capable are free. Everybody else must endure. Time and time again, the strong has crushed the weak with total impunity. True Freedom will come only when the weak becomes strong. Henry deserves to be hung! I love the novel, very informative, Henry is a crook and should be held accountable! Not the easiest book to follow without extensive knowledge of the last 50 years of world events and politics. extremely insightful. kissinger is terrible. I wish I knew all this before, but I'm glad there's someone out there trying to get the truth out. at least there was. RIP Hitchens.